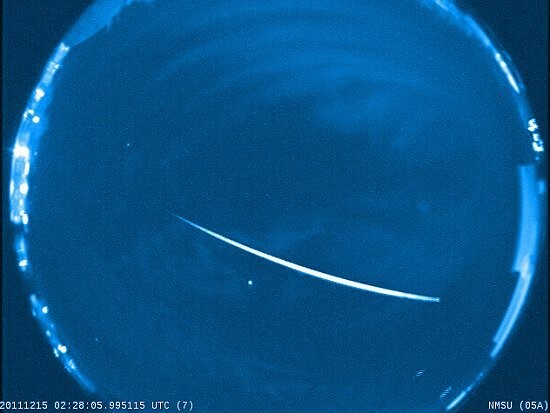 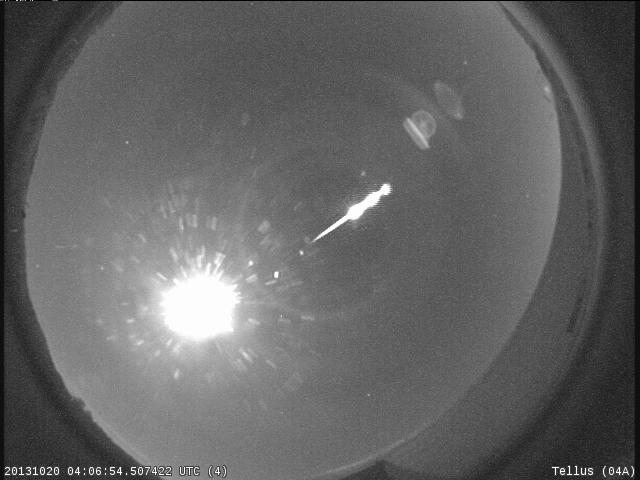 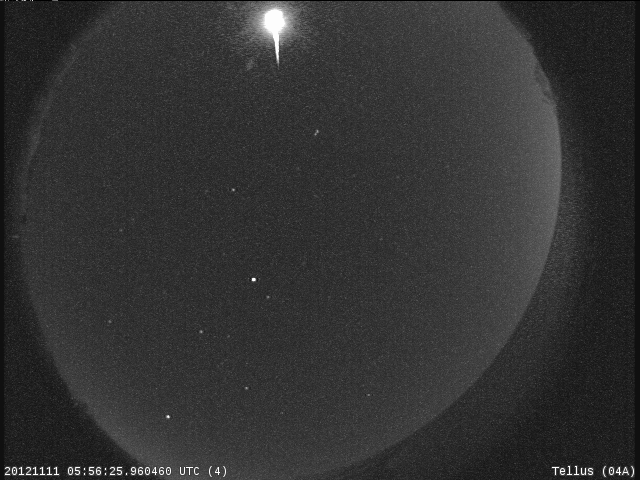 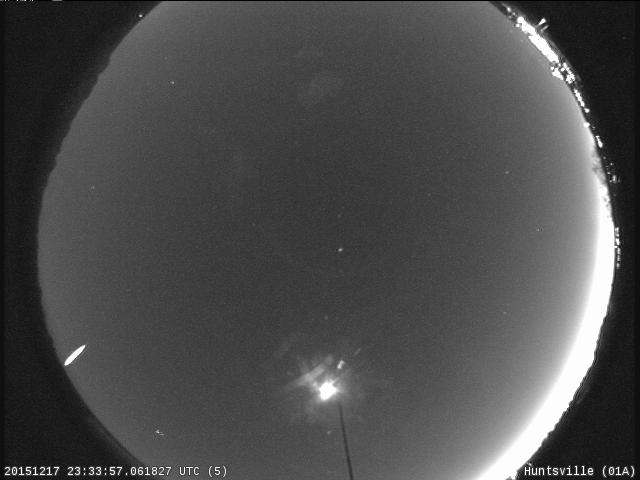 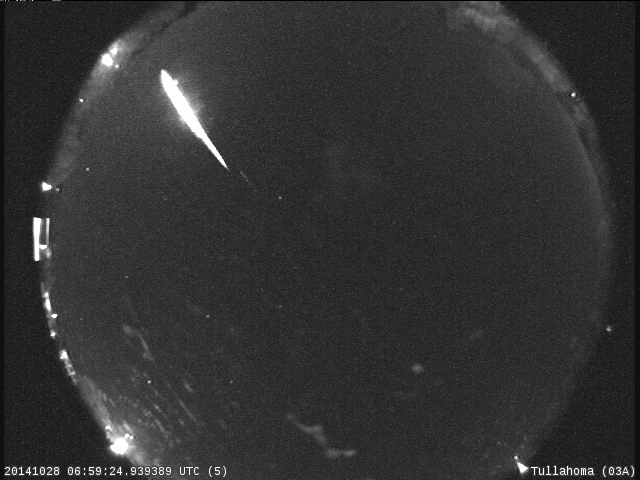 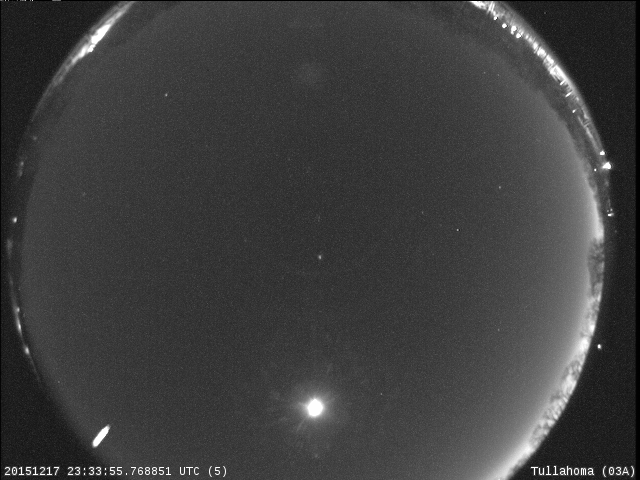 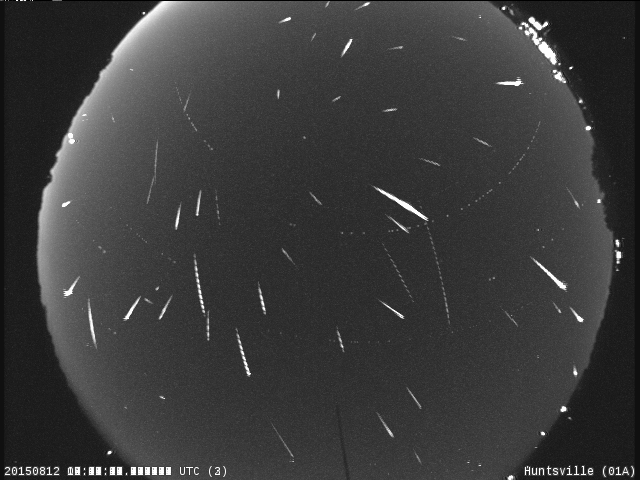 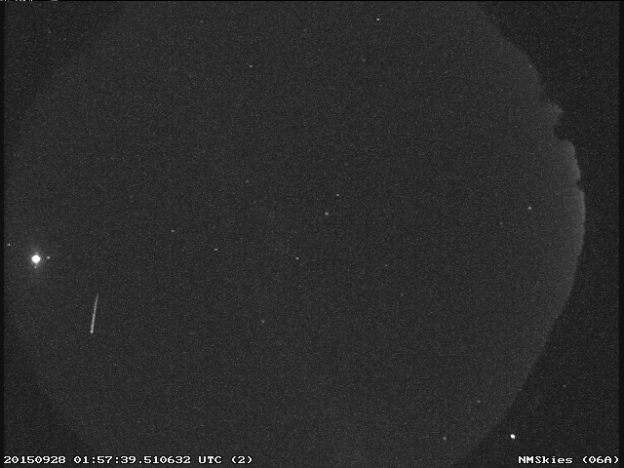 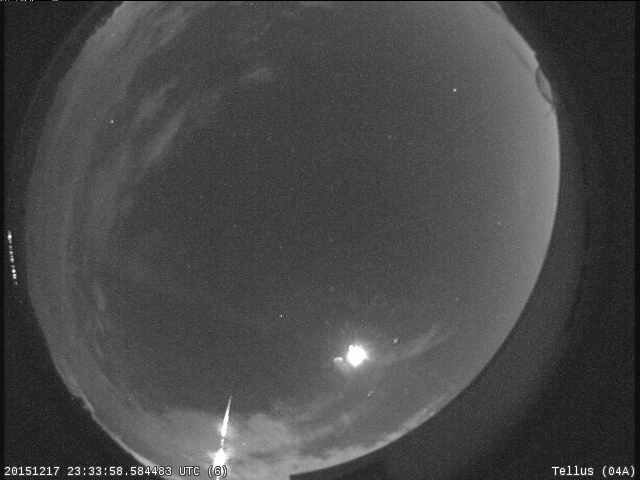 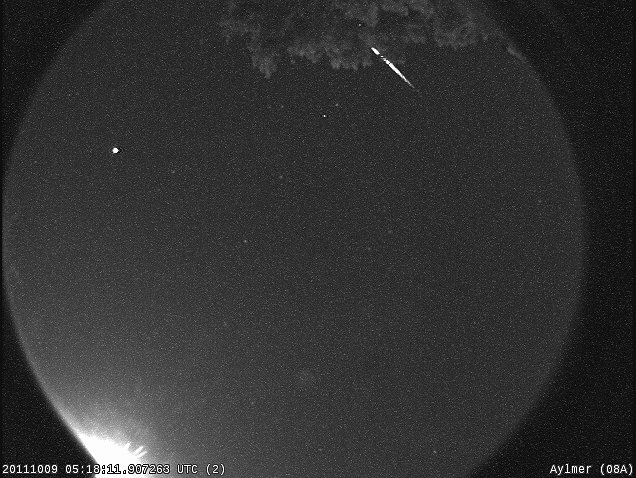 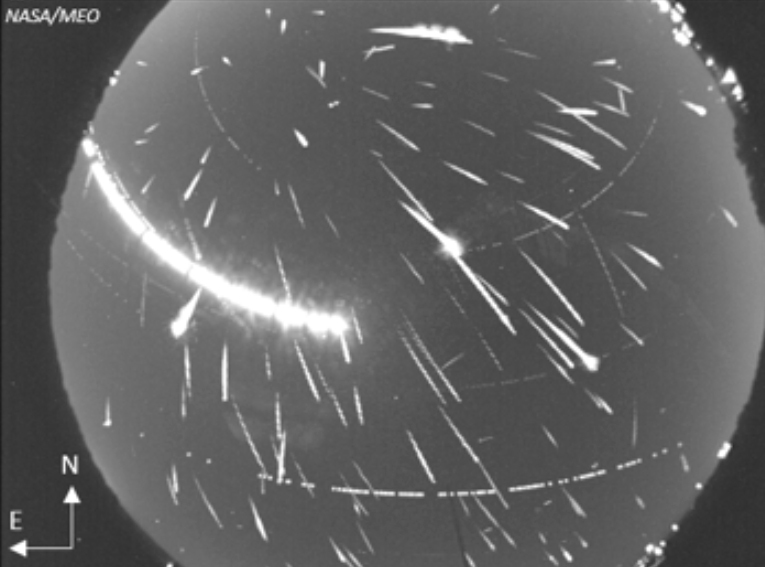 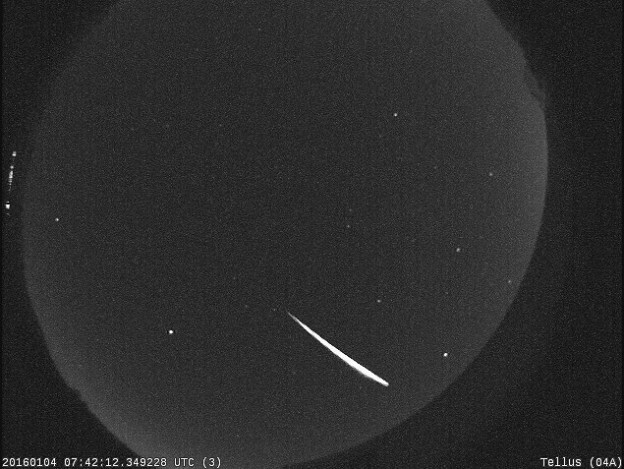 A Draconid disappears behind a tree in this image taken by a Canadian all sky camera (Credit: UWO Meteor Physics Group).. 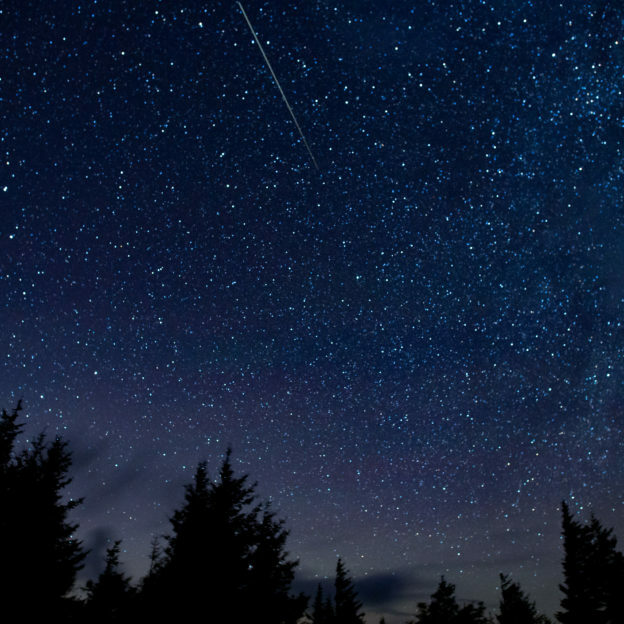 The Draconids are an “occasional” shower – they are either in outburst, with a fair number of meteors, or are so few the casual observer would not notice them. 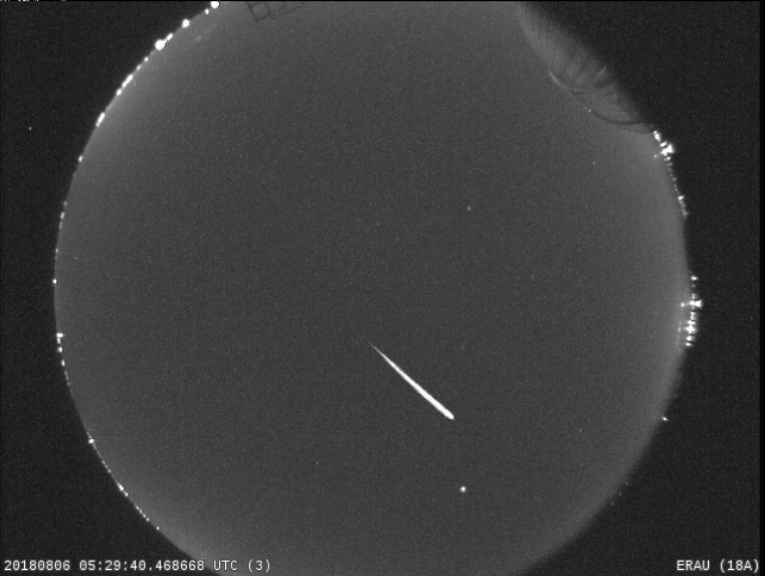 Rates this year are expected to be about 10 per hour on the night of October 8 into the early morning of the 9th, most of them faint. 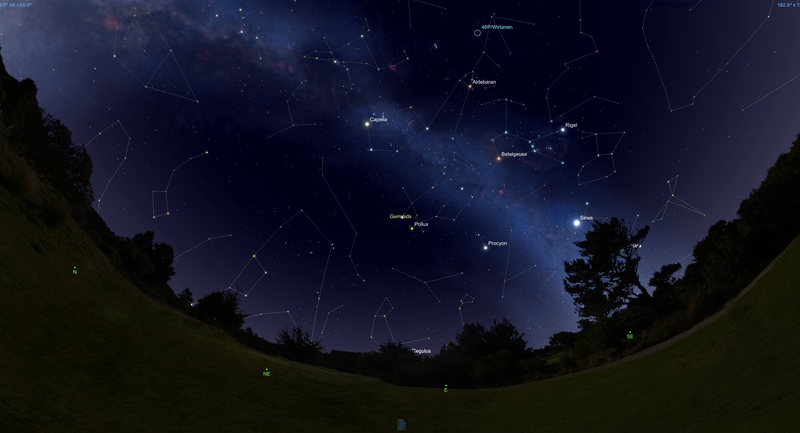 The moon phase is favorable for the Draconid peak, so a sharp eyed observer may be able to spot a few during the course of the evening. 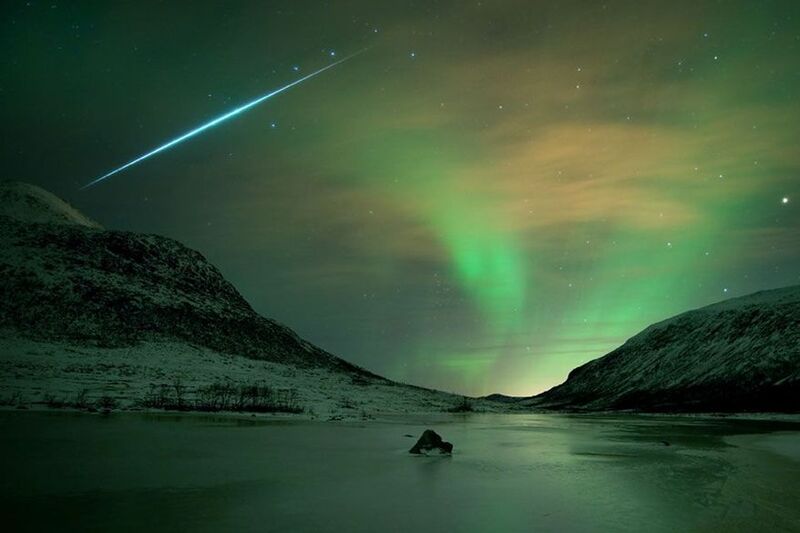 The faintness of the Draconids is due in part to the fact that they are very slow for meteors, about 40,000 mph. 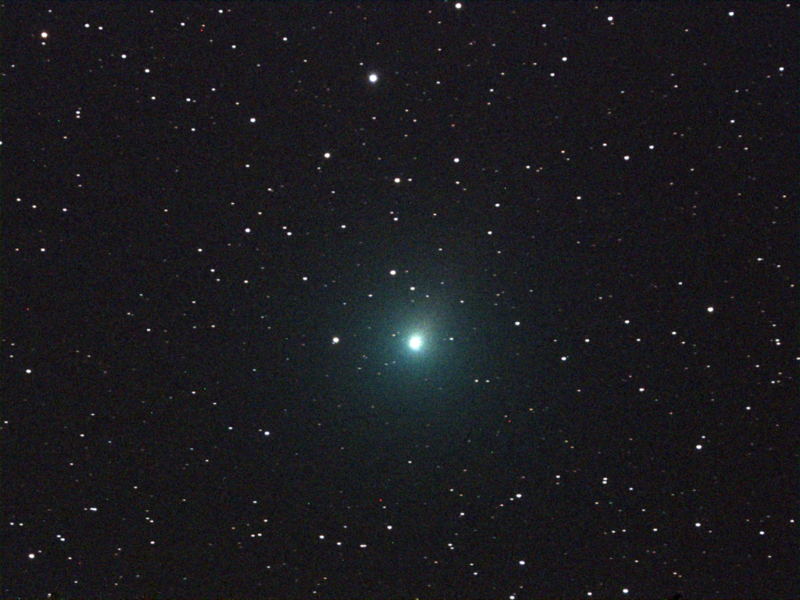 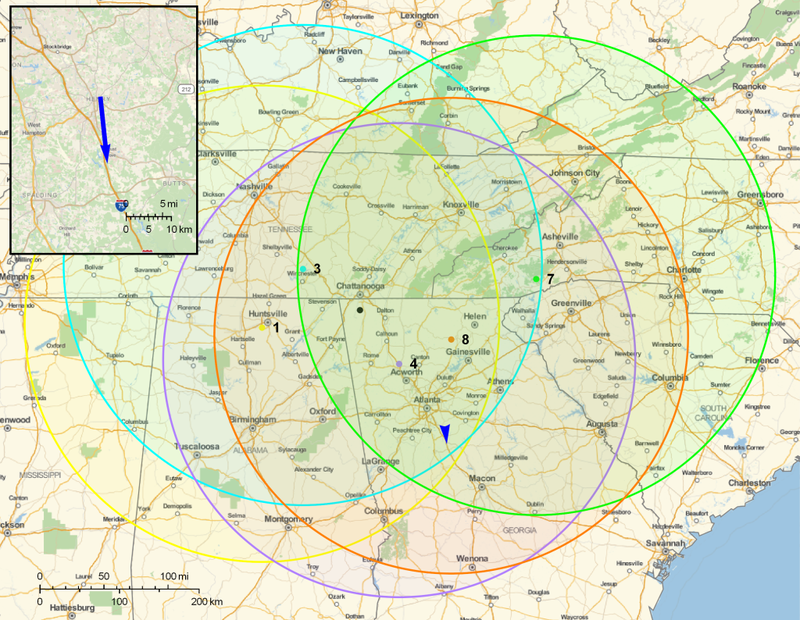 As a consequence, it takes a larger Draconid to produce enough light to be really noticable (the brightness of a meteor is related to both its size and speed), and there are few of those unless the shower is in outburst, which is forecast to happen in 2018.